It is our pleasure to introduce you to Master Mechanic East York. We hope that you can find all the information you need to familiarize yourself with who we are, what we do and how you can find us. We promise to do our utmost to deliver our professional service in a very personalized manner and we thank you for wanting to learn more about us. 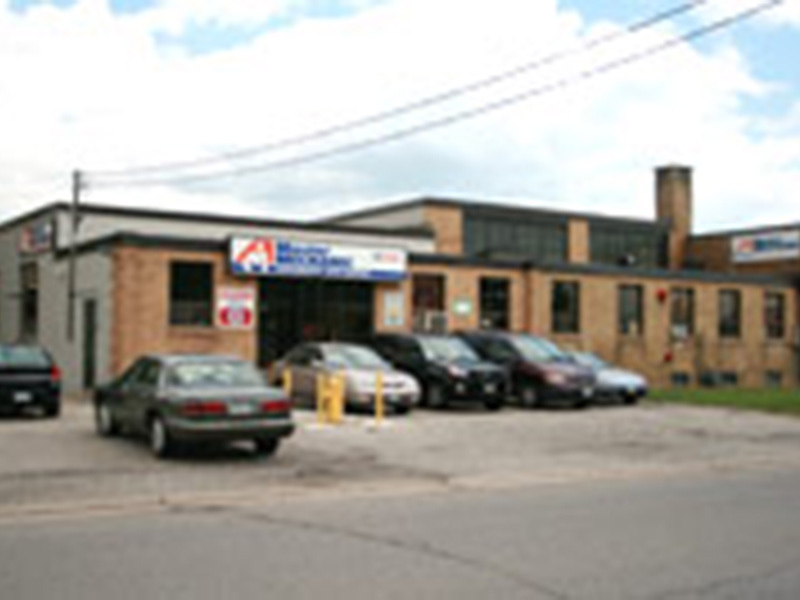 Our Master Mechanic East York store is located on Bermondsey Road between Cranfield Road and O'Connor Drive. Our Master Mechanic East York store is independently owned and operated which means that we are providing a personalized service to our customers. We strive to be the only auto repair and maintenance choice for each of our clients by creating long term relationships which have been earned through consistent delivery of outstanding service quality in an environment which promotes trust, fairness and respect. It is this dedication that differentiates us from our competitors as we continually strive to deliver an outstanding customer experience to each one of our satisfied customers. "Nina V I really trust the advice I received. They took the time to explain the problems and solution in a way that didn't make me feel uneasy. This is the only place I trust with my car and I HIGHLY recommend it and couldn't be happier!" "Michael D Great shop! They are very clean, fast and honest. Hard to find great places like this anymore. Highly recommend and will be taking my cars here on the regular! They have a new owner that seems to really care about his customers and knows a lot of cars." "Friendly, fast, reliable with fair prices." "Great shop! They are very clean, fast and honest. Hard to find great places like this anymore. Highly recommend and will be taking my cars here on the regular! They have a new owner that seems to really care about his customers and knows a lot of cars. Thanks again!" "Great service with fair prices. The mechanics are knowledgeable, friendly and honest. Will definitely return and highly recommend it!" "Thank you to you and your crew for welcoming us into your establishment and going out of your way to quickly and efficiently fix our 2003 Jeep. We realize we kept you all, late on a Friday night when you just wanted to get home to your family and relax. We really appreciate everything you did for us. I was worried that we wouldn't be able to see our son in time for supper and share his celebration that evening. However, everyone at Master Mechanic reassured us that you would do what you could do. That made us feel better. Being from out of town makes it difficult to know who could fix our problem, but CAA towed us to the best place we could have hoped for. We couldn't have asked for better service and friendlier treatment. Thanks again for your kindness and excellent service! If we ever need help in Toronto again, we know where to come." "We are moving to Quebec City for our jobs and wanted to let you know that we will really miss the excellent, trustworthy service that you have provided to us over the past 15 years and 4 different cars. We’ve written a glowing review on Yelp and wish you all the very best in the future." "Thanks for keeping my 1988 Subaru on the road. Its now 24 years old and still looking good. Guess I’ll hang on to it as long as I can. All the best." "Just wanted to send you a quick note on the great quality of service you and your team provide. I feel that I get value for my money. Thank you. " "Many thanks to Chris for taking my car for me. It gives me a free day and I appreciate it. My son and family took the car to Nova Scotia this summer so there is a bit more mileage. It was good for the car too!having a good long run for a change. My son mentioned he filled the coolant twice while away!I thought this was unusual!perhaps you could have a look. Otherwise the car is going well and is reliable. The left front tire goes down a bit but really slowly. Thank you again for the super customer service. " "I made my first visit to the East York store. I just had to contact the main office to let you know what a wonderful experience it was and how impressed I was with the service. My friends told me about Dan and the excellent manner with which he treats his customers but I had never been there because my husband always took care of our vehicles and he took them to the dealerships. My husband passed away in August and I was left to take care of the car and van we own. I knew my 2000 Hyundai was in need of servicing as I had not had the time to do it earlier this summer so I finally listened to my friends and took it to Dan today. He and his team did a great job. I will be taking my van to him for its tune up and I can assure you that I will start spreading the word among my colleagues and friends. I work in the service industry and I know how quickly people will complain and how rarely they will compliment so I just wanted to take this opportunity to let you know what a wonderful example of customer service Dan and his mechanics provide. As I said earlier, I will be spreading the word! "